The Broadway musical Side Show crosses the pond for its UK Premiere, in a new production, at London’s Southwark Playhouse, this October. The Hilton Sisters make ends meet playing a headline act at a seedy side show, languishing under the rule of an oppressive ringmaster. But, when spotted by a talent agent, they are thrust into the spotlight of the famed 1920’s Orpheum Circuit, becoming the highest paid vaudeville stars of their time. While Daisy relishes the spotlight, Violet wishes for a quiet life with a man she loves, and who loves her. Can they balance their individual dreams with their inescapable physical connection? The musical opened on Broadway in 1997, where it was nominated for four Tony Awards – the only time a nomination has been shared by two actresses – Alice Ripley and Emily Skinner. It features a score by Dreamgirls’ composer Henry Krieger and, coincidentally, both shows make their London débuts just weeks apart from each other when Dreamgirls opens in the West End in November. The book and lyrics are by Bill Russell with additional material by multi-award-winning screenwriter and director Bill Condon, who reworked Side Show for its 2014 Broadway revival. 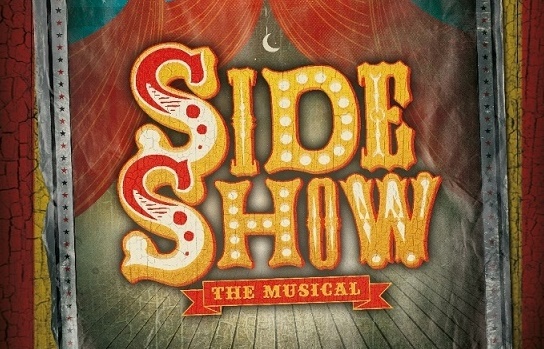 Side Show is presented by Paul Taylor-Mills, who returns to Southwark Playhouse following his acclaimed productions of In The Heights and Carrie: The Musical, and directed by Hannah Chissick. Side Show runs in The Large at Southwark Playhouse from October 21-December 3.